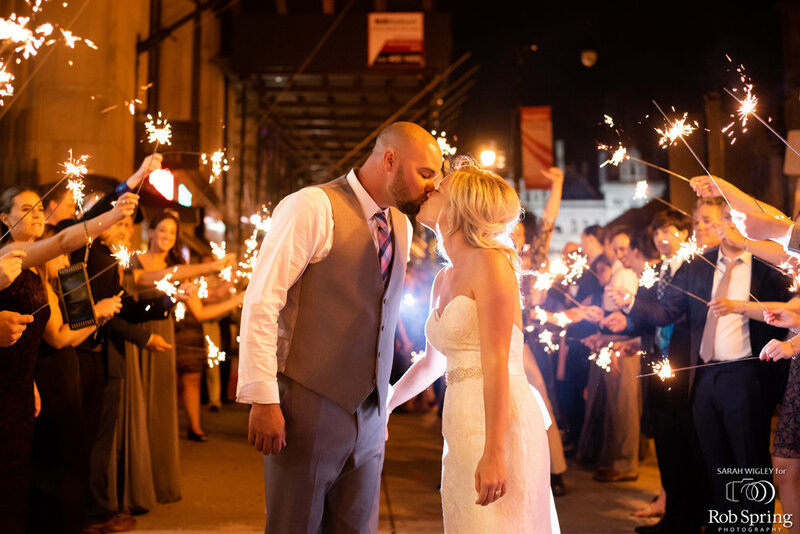 Jennifer and William’s late summer wedding at 90 State Events in downtown Albany, NY was a classic elegant wedding with a classic ivory color scheme. Their wedding ceremony featured one of our Signature Looks at the venue, the Chenique Design. 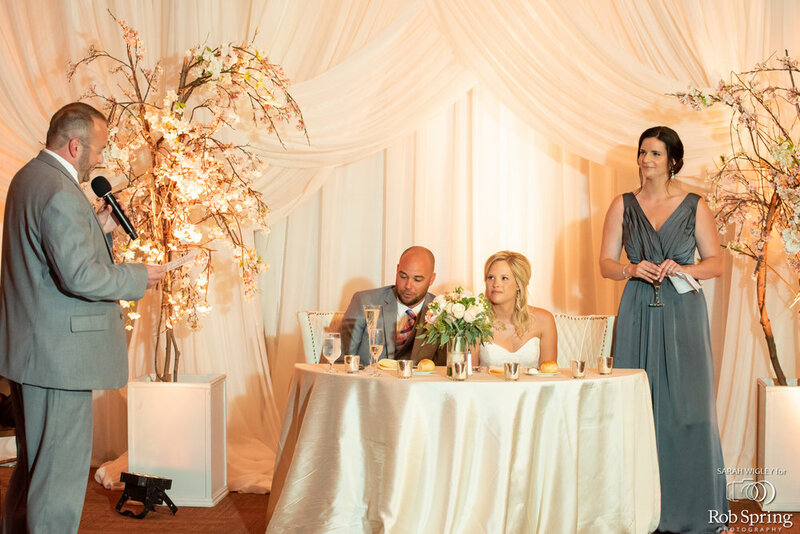 This design featured layers of ivory chiffon drapery to create a stunning backdrop not only for Jen and Bill’s ceremony, but transitioned be featured behind the sweetheart table. In addition to the drapery design, we featured our cherry blossom trees and soft uplighting. The couple’s grand entrance also featured a beautiful chiffon drapery display and custom gobo lighting. Accented with more cherry blossom trees, the drapery was also the backdrop for the DJ, For the Love of Music. Ready to start your #TotalEventsTransformation? Contact an event specialist today!